Guests who choose to stay at the Blue Sea Club Martha’s can explore all that is wondrous 4-star hotel has to offer. Perfectly located in the heart of Cala d’Or, the ideal location makes it possible for families and couple to enjoy the pools, the beach and the many activities on offer. The apartment complex of Blue Sea Club Martha’s gives guests access to a beautiful marina, restaurants and bars in the vicinity as well as water sports for the active types. There are dining options to suit all and an atmosphere that ensures that guests are catered for in every way. For those who want to explore the authentic side of Majorca will be impressed by the location of this hotel. From local villages to beaches and plenty of attractions, guests will always have plenty to do. 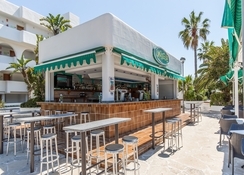 The Marina is a short drive away while the stunning beach is a hop, skip and a jump away and for those who want some excitement then they can explore the array of bars and restaurants, all of which are suitable for families and couples. 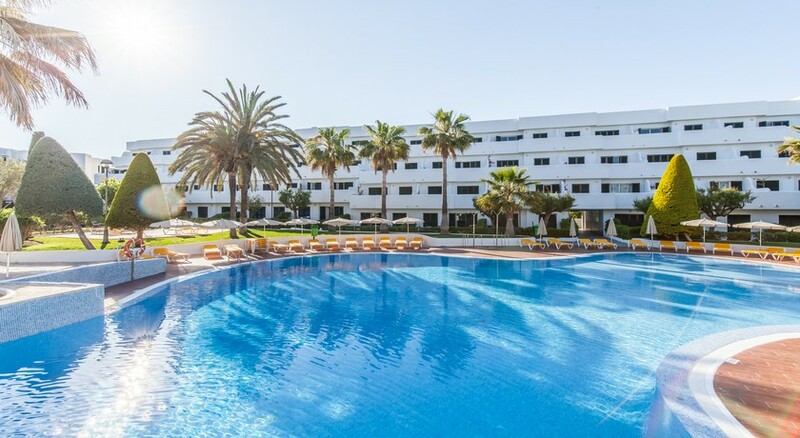 There is so much on offer at this amazing hotel and the surrounding areas that guests will not be able to arrive after the 60km drive from Palma Mallorca Airport. 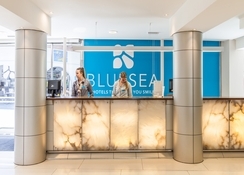 The hotel consists of 279 comfortable rooms that offer plenty of space and style. The décor will impress and ensure that guests instantly feel at home. There is also 66 studios available but all provide a standard of living and features that ensure guests have a memorable stay. All rooms have a living area with two sofa beds, a kitchen with a fridge, a microwave and air-conditioning as well as a terrace or balcony. There is a flat-screen TC, telephone, free Wifi and a safe box while the en-suite bathrooms come with toiletries and other amenities. Guests can benefit from having a wide selection when it comes to dining at the hotel offers three on-site restaurants, making sure that there is something for everyone. The main buffet restaurant provides guests with access to breakfast, lunch and dinner. Here they can explore a wide choice of international dishes as well as local cuisine, all of which is sure to impress. The a la carte restaurant, Natalie offers a fine dining experience while the pizzeria offers a huge choice of tasty pizzas. 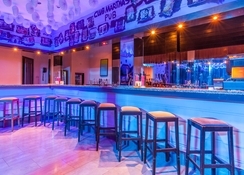 Once guests are finished eating, bar Moogie is the place to go, serving international drinks, beers and wines as well as soft drinks while the entertainment adds to the thrill of the evening. The outdoor facilities and complex ensure that guests have access to an array of facilities and activities. There are two free-form pools nestled in lush gardens and spacious sun-terraces. 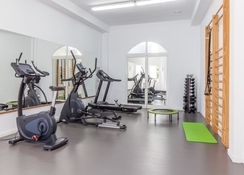 Guests wanting to work up a sweat can turn their hand to tennis, volleyball and water polo while the kid's pool and kid's club provide plenty of options. The animation team deliver fun-filled activities and entertainment through the day and long into the evening. There were a few minor issues, with a broken plug and lack of info for the amount of activities going on. We always heard about them after. The entertainment was fab, there was lots to do locally and would go back again!!! What a lovely homely hotel. The day and night staff great to be around. Room clean and tidy. Balcony was a beautiful sun trap. Will visit again.